Thanks to all the schools and organizations who supported Project ACES worldwide. Mark next year’s date on your calendar, May 2, 2018. And please do not forget, PACES Day is tomorrow. Signup your family to exercise with thousands of other families around the globe. May 4 Is Project ACES Day – All Children Exercise Simultaneously! In conjunction with May’s Exercise is Medicine® Month, “The World’s Largest Exercise Class” is coming to children and schools around the world May 4. Millions of participants across the globe will be celebrating the 28th annual Project ACES® Day beginning at 10 a.m. This Youth Fitness Coalition (YFC) signature program, in partnership with American College of Sports Medicine’s Exercise is Medicine® initiative, promotes physical activity to children in order to decrease the prevalence of childhood obesity. Project ACES, an acronym for All Children Exercise Simultaneously, also coincides with National Physical Fitness and Sports Month and National Physical Education Week. 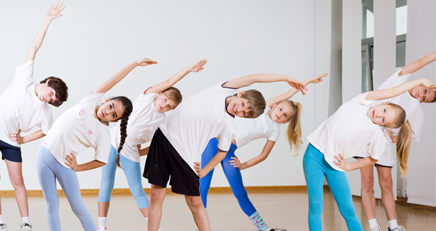 Schools can choose their activity, from walking or jogging to martial arts or dancing. Students typically exercise for 15 to 45 minutes following an educational component. In the past, schools have incorporated celebrity guest speakers or used music in their Project ACES activities. The program has been recognized by multiple presidents, including Bill Clinton and Ronald Reagan, and has inspired events in 50 different countries. As the time zones change, this chain of local events creates a global wave of exercise. Schools and students will celebrate Project ACES Day by making physical activity a priority. 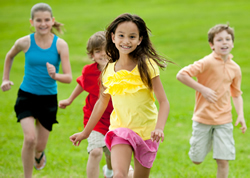 Federal physical activity guidelines recommend children and adolescents do 60 minutes of physical activity per day. Project ACES helps children reach this goal from activities ranging from running to sports and games. Teachers can also make physical activity a priority throughout the year by creating a Project ACES Club at their school to teach and learn healthy lifestyle food and exercise choices. 7 for the 9th annual PACES Day: Parents and Children Exercise Simultaneously. PACES Day kicks off a 52-week exercise program with various fun activities parents can enjoy with their children. The PACES website offers resources including a list of family activity ideas for every week of the year. “If we feel good about ourselves, we can lead by example, and inspire our kids to be their fit best, not just on Project ACES and PACES Day, but every day and toward each other,” said Shihan Saunders. For more information on Exercise is Medicine® and how to get involved with Project ACES, visit www.projectaces.com. The American College of Sports Medicine is the largest sports medicine and exercise science organization in the world. More than 35,000 international, national, and regional members and certified professionals are dedicated to advancing and integrating scientific research to provide educational and practical applications of exercise science and sports medicine. The Youth Fitness Coalition, Inc. is a New Jersey-based non-profit organization committed to combating childhood obesity by making exercise programs fun and by educating children, parents and teachers about the importance of lifelong fitness and making healthy lifestyle choices.